According to unconfirmed information from the Free News portal (in Russian), the ISIS Hunters elite unit of the Syrian armed forces is fully funded and trained by Russian special forces. 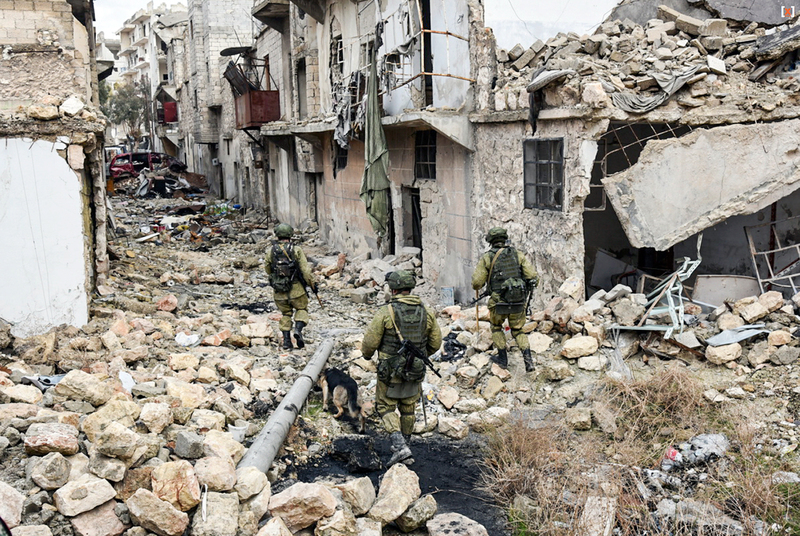 Russian media allege a link between Ivan Slyshkin, who was killed in Syria in February, and the Wagner Group, a private Russian military company believed to be based in the Krasnodar Territory. The deceased, Ivan Slyshkin, 23, went to Syria to train members of the elite government unit known as ISIS Hunters, RBC reports (in Russian), citing an anonymous source who is fighting in Syria. "Six weeks ago, Ivan Slyshkin was at the Shayrat military airfield about 20 miles southeast of the city of Homs, where he was training a group of Syrian military personnel and active in liberating the Khayyan oilfield, but a week later he was killed during a reconnaissance operation near the Shaer oilfield," RBC quoted the anonymous source, who is reportedly participating in military operations in Syria. News of Slyshkin’s death has once again directed media attention on the mysterious Wagner Group, a semi-legal Russian private military company that trains and deploys fighters to various armed conflicts. According to RBC, the Wagner Group, which received its name from the call sign of its leader, took part in operations in Syria against ISIS militants, while earlier its mercenaries were spotted in southeast Ukraine. Slyshkin’s connection to the Wagner Group can be traced through his combat training in Krasnodar Territory. Slyshkin was trained at the Molkino base, where Wagner Group mercenaries are believed to be training, RBC said. "So judge for yourselves, where he served and who paid him money," RBC quotes its anonymous source as saying. As further evidence of Slyshkin's connection to mercenaries, journalists cite the deceased’s girlfriend Kristina Gaynutdinova, who claims that her boyfriend did indeed travel to Krasnodar without telling her any details. "As for the private military company Wagner, he didn’t tell me anything, and no-one will tell you anything. Vanya did not say anything about it because when he went there, they had signed a non-disclosure agreement, it was all secret," Gaynutdinova told RBC. Slyshkin was killed by a sniper, RBC reported. "We learned [of his death] in late February. We got a call. They did not introduce themselves. They told us that he was shot in the head. His parents flew to Rostov on Monday to get his body," RBC quoted Gaynutdinova as saying. "Between Feb. 12 and Feb. 25, there was absolutely no information about him," RBC quoted Slyshkin’s former colleague as saying. "Under the terms of the contract, bodies are not brought back home. It was arranged through friends and connections - the body was brought first to Krasnodar, and then to Rostov. I don’t know when exactly he was brought to Russia, but his relatives flew from Chelyabinsk on Feb. 26 to claim the body. They identified it." There were no representatives of the Defense Ministry or the local administration spotted at the funeral, said Dmitry Mashnov, an acquaintance of Slyshkin, reported RBC. Ruslan Leviev, head of Conflict Intelligence Team, a group of independent investigators of armed conflicts, concluded that the manner in which his funeral was held suggests Slyshkin belonged to a private military company.